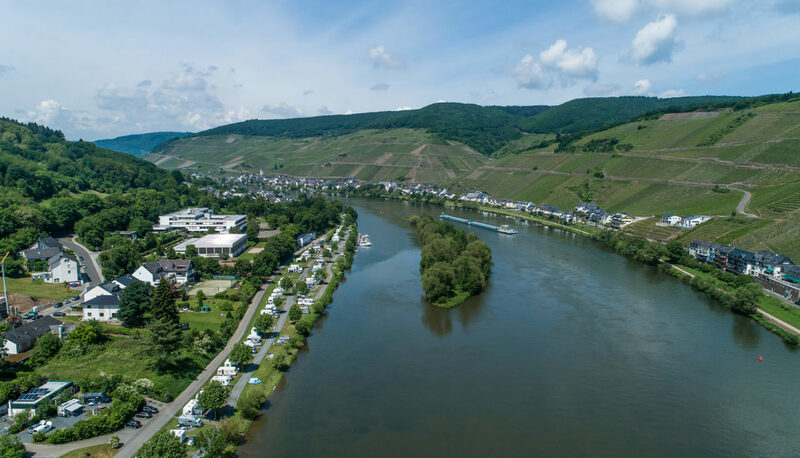 Located in the idyllic town Zell and surrounded by vineyards next to the river Moselle, our very well-maintained campsite welcomes you to enjoy a relaxed and modern camping holiday. 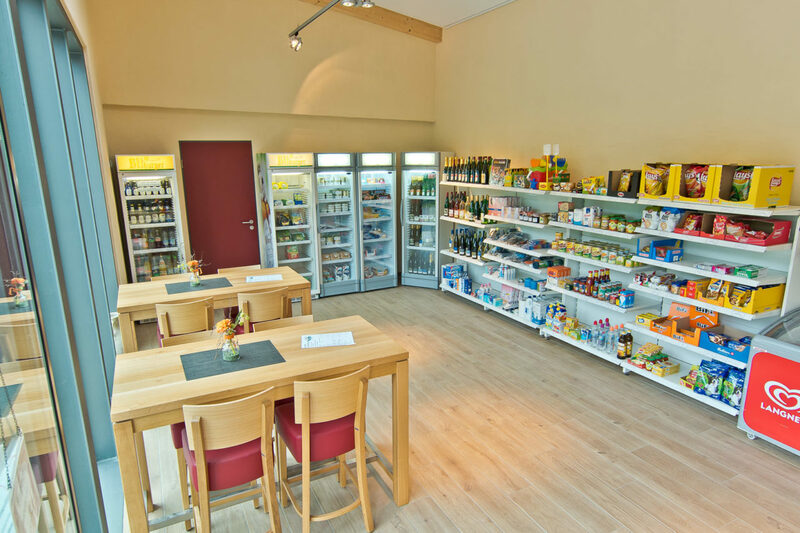 Just leave normal busy life behind you and enjoy the relaxed atmosphere on our campsite as well as the many possibilities to make your stay comfortable – e. g. our own marina, children’s playground, WiFi or shop on site. We offer you large pitches, an individual service, modern comfort and a variety of leisure facilities. 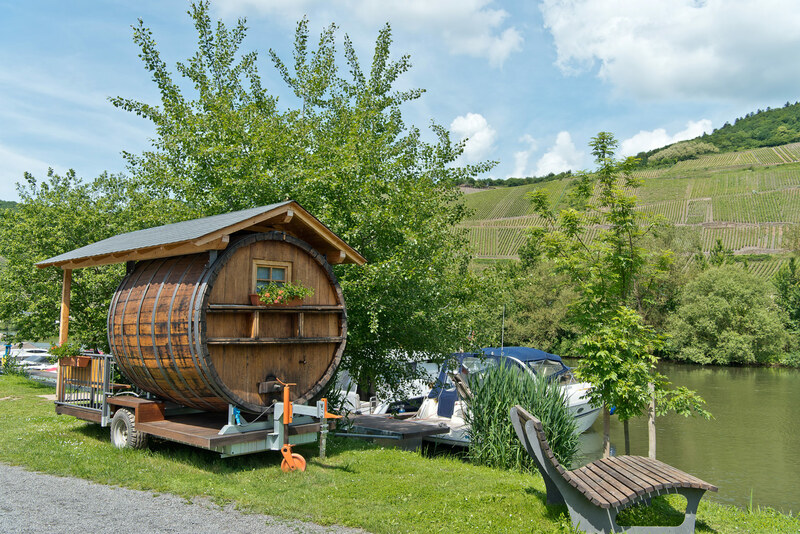 Enjoy your stay in one of Germany’s most beautiful holiday regions and recharge your batteries. Our camping park is open all year. Families, nature lovers, water sports enthusiasts or active holidaymakers – they will all find a lot of attractions here. The following list shall give you an overview of some highlights. 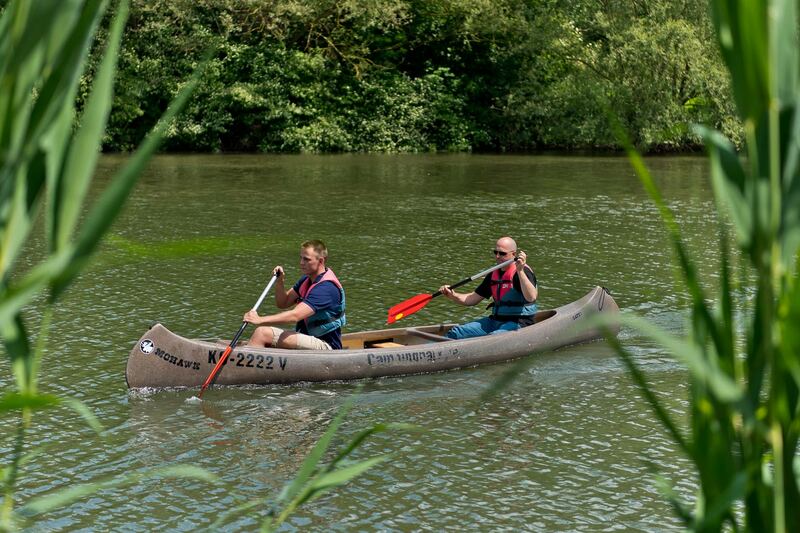 Hire a canoe directly on site and start to a relaxing family trip on the river. A really nice way to discover the region! What about a boat trip? You can hire motorboats directly on site (no driving license needed). Discover the region by bike! A very well developed cycle path network will help you to find the perfect route. 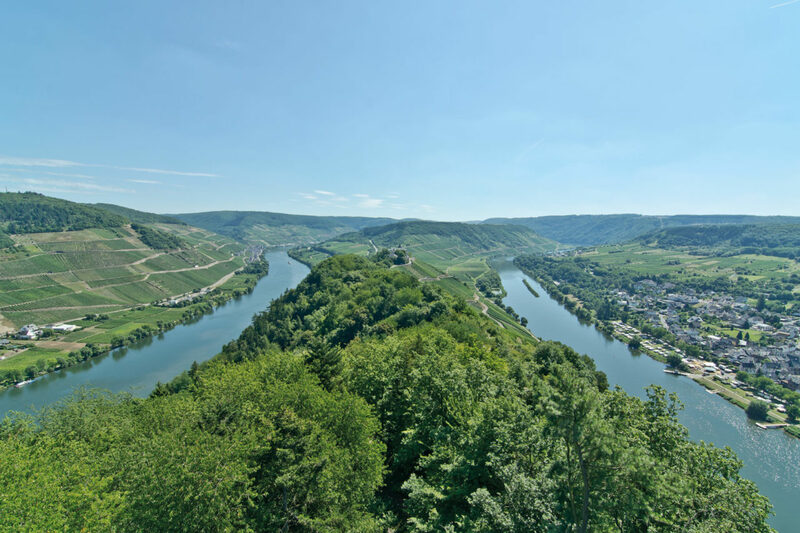 The Moselle region is one of Europe’s most popular hiking areas. Multifaceted hiking trails with different levels of difficulty are waiting for you. We have modern jetties and landing places with all the comfort you need. A small artificial island keeps out waves from bigger ships and boats. 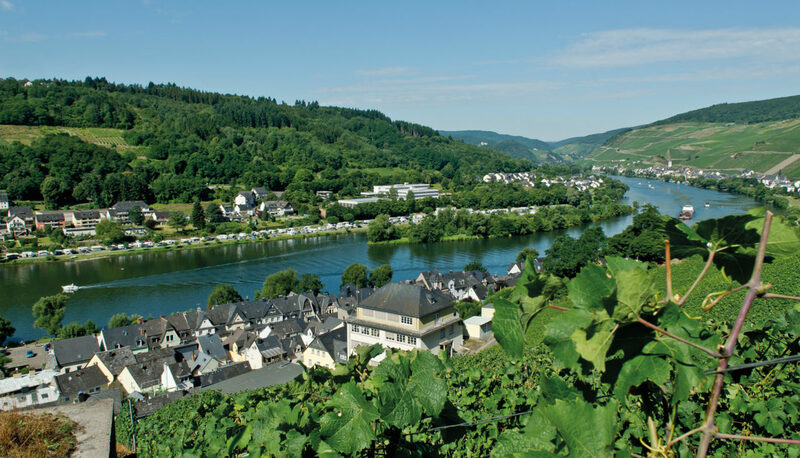 There are many possibilities nearby to enjoy the region’s culinary highlights and first-class Riesling wines. We will be happy to advise you! When was the last time you went fishing? We provide you with all important information on fishing spots and licenses. Not only the numerous historical highlights are waiting to be discovered in the Moselle valley. The great variety of cultural events will also inspire you! 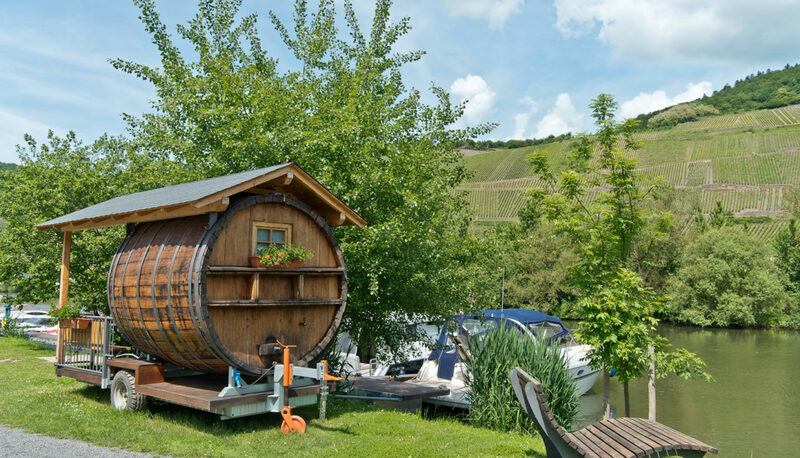 Take the opportunity to sleep in a real wine barrel, which was used to vinify and store 9,500 litres of wine only a few years ago. This unique sleeping accommodation next to the river offers you a double bed (1.4 m), bluetooth speakers and a covered veranda with chairs. 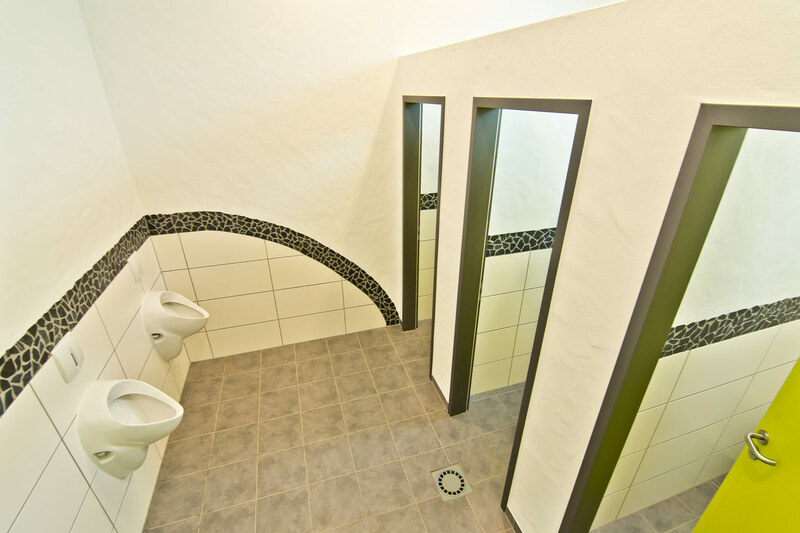 Of course, you may use the sanitary facilities on the campsite. 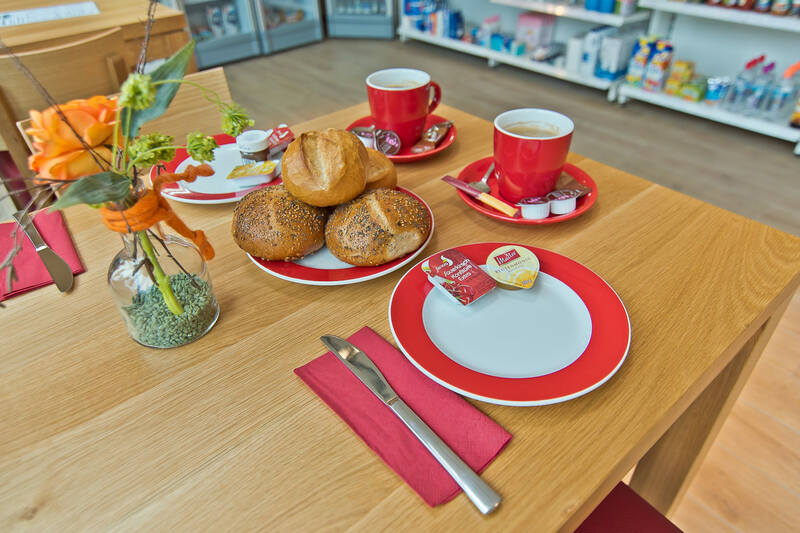 Start your day with having breakfast on the veranda, in the beer garden or in the reception area. 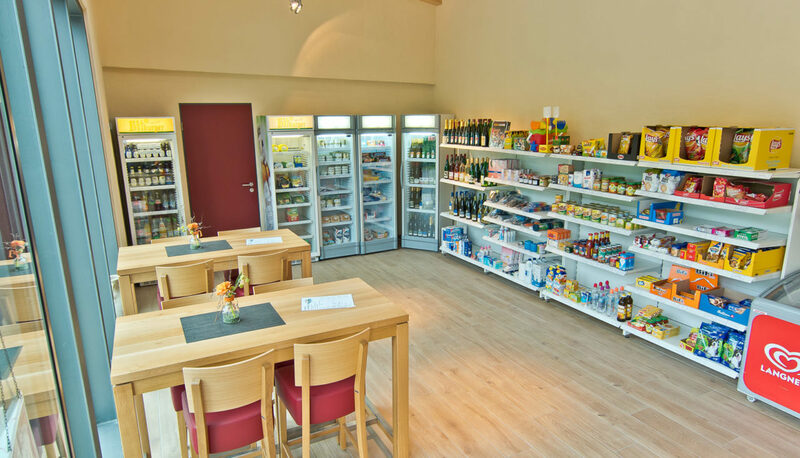 You can choose individually from different breakfast varieties. Water sports enthusiasts will love the fantastic scenery! Situated behind a small artificial island, our marina is protected against waves from bigger ships and boats. It is an ideal place to start your river trips or to moor your boat. 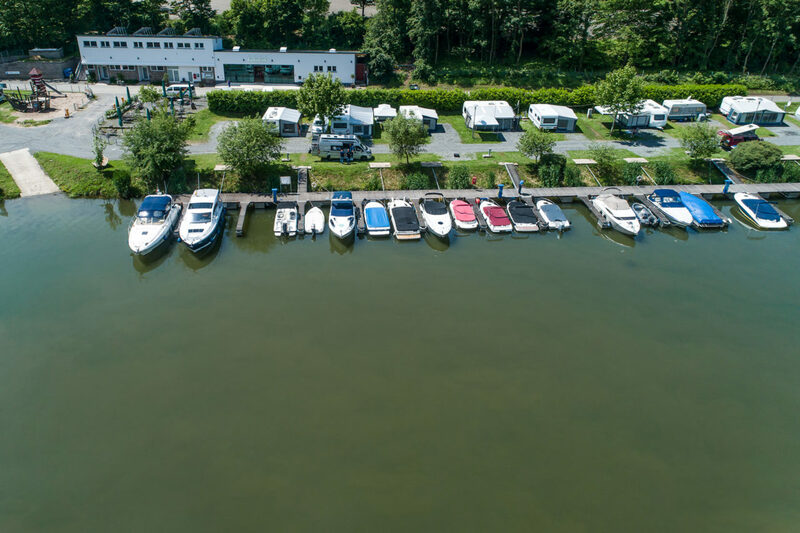 There are 24 landing places for boats up to a length of 11 m. We also offer clean and heated sanitary facilities as well as a little shop directly on our campsite. Discover the region on your own by boat! You can hire different types of motorboats directly on site. What about water skiing or a speedy banana boat ride? 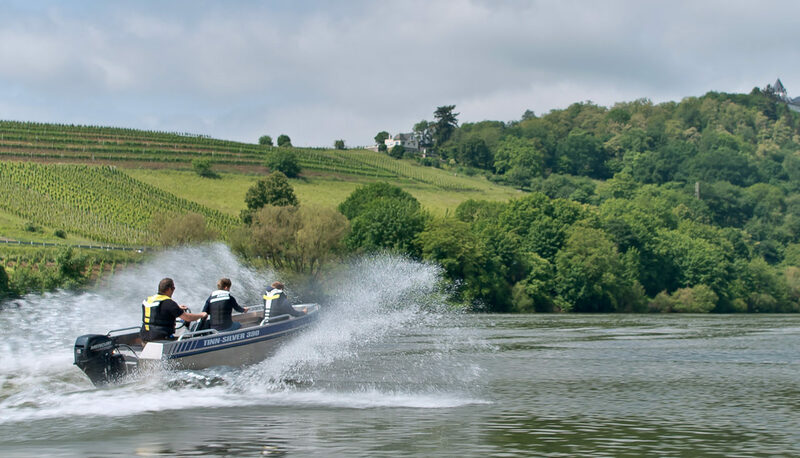 Water sports on the Moselle are real fun! 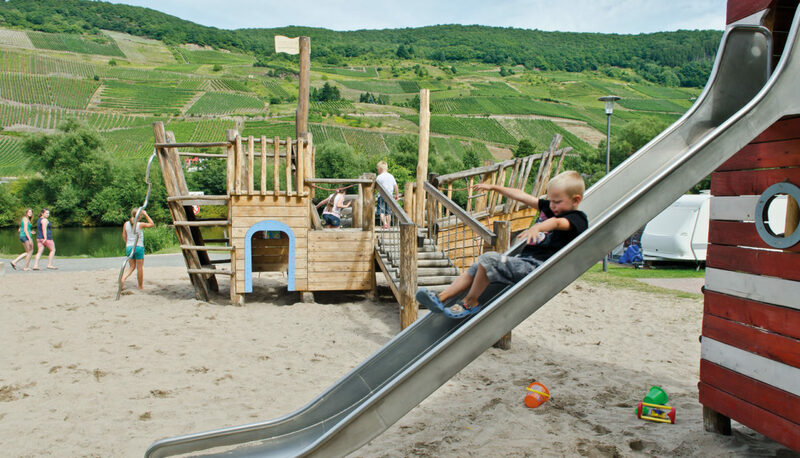 Our pirate playground is waiting for your children to be discovered! Here they will find a treasure island, a pirate ship and a lighthouse and have a lot of fun using the slide, climbing rope, balancing beam, climbing pole and climbing wall. We want your children to feel at home and have a good time! 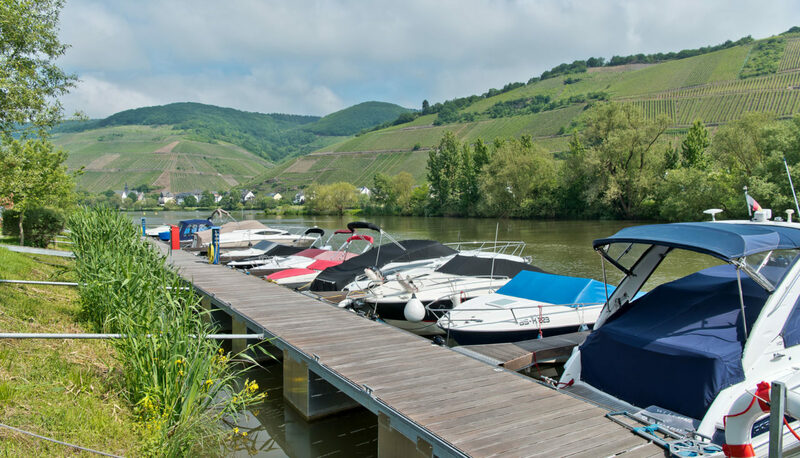 The well-known holiday region Zell-Mosel and our Campingpark offer you a wide variety of leisure facilities and lots to see and do. Go shopping, discover the region, relax and have fun! Take to the river, hire a bike, put on your hiking shoes or have a good glass of wine - we will be happy to advise you! Please feel free to contact us! 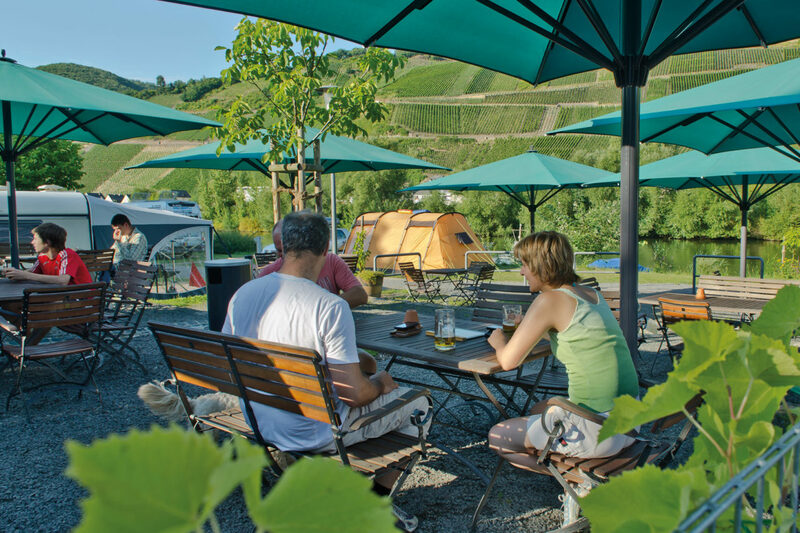 We are the only campsite in the Moselle valley that is open all year. There are many highlights in winter as well. 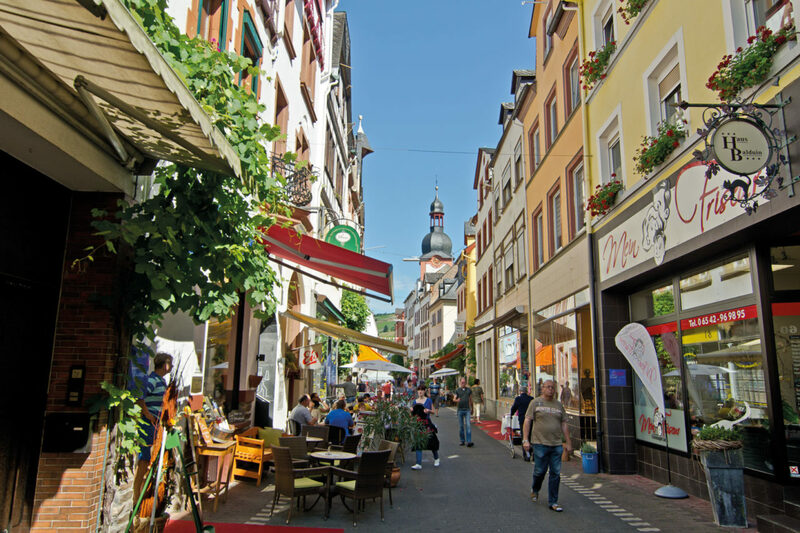 You can visit the numerous Christmas markets to enjoy culinary highlights and do some Christmas shopping, or you come here to celebrate the carnival season. 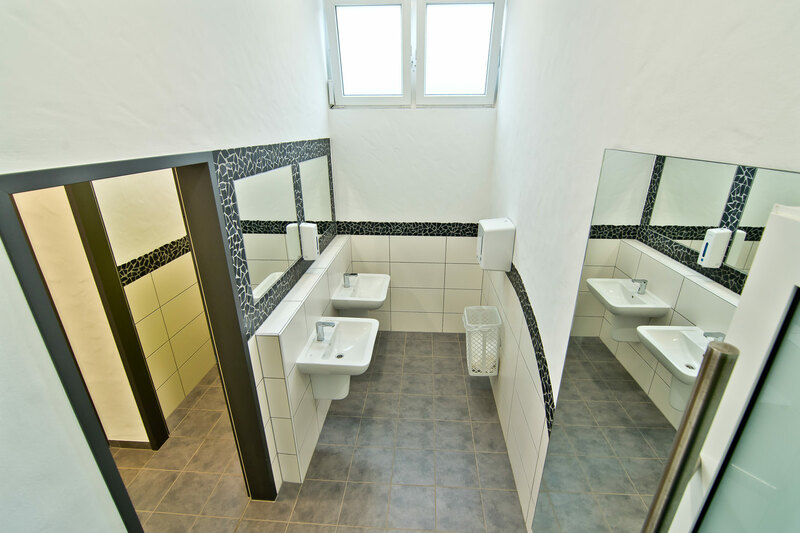 Our heated sanitary facilities will keep you warm even during the cold season! We comply with the strict Eco Camping and DTV requirements, and our visitors very much enjoyed their experience with us. Have a look at the reviews about our campsite.